In 2008, Ehren and Robin formed The Ezzell Group, PLLC. Together they provide a legal team with 20 years of experience in family law, wills & estates, transactional and litigation support in real estate matters, corporate and partnership formation and general civil litigation. 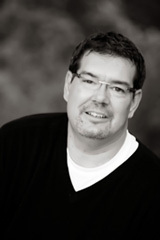 Ehren was born in Austin, Texas in 1969 and spent the majority of his childhood in Austin and San Antonio. He left Texas to pursue a business degree at the University of Colorado. After graduating from college, Ehren returned to Texas and worked in Austin. In 1996, Ehren enrolled at St. Mary's University School of Law in San Antonio. Ehren was a Texas State Mock Trial finalist, law clerk at Cambridge School of Law in Cambridge, England, attended foreign studies in Innsbruck, Austria, was on the Law School Student Council, and was a finalist in the State Mock Trial Competition. After graduation in 1999, Ehren was employed with the Law Offices of Bill Jeffers, PC. The focus of his work was in civil litigation, Qui Tam litigation, Bankruptcy and business law. In 2002, Ehren moved to Austin and started Grandinetti & Ezzell, PC, a family law firm. In 2005, the firm expanded to become Grandinetti, Ezzell & Molinar, PLLC. The main focuses of the firm were in the areas of family law, real estate litigation and general civil litigation. Ehren has been a member of CAFA (Court Appointed Family Advocates) since 2005. In this capacity, he has represented children and parents in cases involving CPS (Texas Department of Family and Protectice Services). Ehren has represented hundreds of clients working through the difficult process of reunification as well as termination. This experience has provided a unique insight into the zealous advocacy of children's rights. In 2002, Ehren and Robin were married. Robin relocated from Dallas and has worked in the real estate industry in Austin since. Ehren and Robin share the Austin area with their close family and friends and enjoy serving the central Texas community. Robin A. Ezzell, of Counsel. Robin was born and raised in Dallas, Texas. She attended Southern Methodist University where she earned a Bachelor's Degree in Political Science with a minor in Dance Performance in 1995. Robin performed with several ballet companies in the Dallas-area prior to enrolling in law school. In 1996, Robin left Dallas and relocated to San Antonio, Texas to attend St. Mary's University School of Law. Robin was a member of the Women's Law Association and Phi Alpha Delta law fraternity. After graduation, Robin returned to Dallas where she worked with a small boutique firm with a focus on criminal law, wills & estates and family law. She then accepted an Associate position with Meyer & Friedman P.C. , where the majority of her work was in civil litigation, family law, and criminal law. 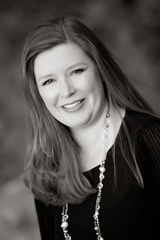 In 2002 after marrying Ehren, Robin relocated from Dallas and has worked in the real estate industry in Austin since. She has closed real estate transactions in Central Texas since 2003. She has closed myriad commercial and residential transactions throughout her career. Robin is experienced in preparing and reviewing real estate forms and contracts. Robin is a previous member of Real Estate Council of Austin (RECA), Women's Chamber of Commerce, Westlake Chamber of Commerce and the Austin Young Lawyers Association. Robin is a current member of the Real Estate, Probate and Trust Law Section of the State Bar of Texas and currently sits on the Board of Directors for the Real Estate Section of the Austin Bar Association.